In the Spring of 2012, Dr Charles Ruffner received an IDNR State Wildlife Grant (WPF #12-L12W) to investigate and report on the Prescribed Fire needs of the state of Illinois using a survey document disseminated to the over 500 prescribed fire practitioners across the state. For Logan Park, it was a five-month hike on the Appalachian Trail that set him on his career path. For A.J. Neilan, it was a summer of volunteer work – and Park’s forestry summer camp. This summer, 17 students joined assistant professor Logan Park on the “mother of all field trips” – also known as Forestry 422: Park and Wildlands Management Camp. Trees have taken the role of tutors for students in a tree identification course, with the aid of QR codes. On September 21, the Forestry Team traveled to the Kentucky Wood Expo to compete against teams from the Midwest in a forestry competition. The team landed first place! Cougars, those wily, storied creatures that once moved like ghosts through their far-ranging North American habitat, are making a comeback. And a researcher at Southern Illinois University Carbondale -- along with a former student -- is among those spotting the trend. EmilyHanson, a researcher in the Department of Forestry and a new member of the College of Agricultural Sciences at Southern Illinois University Carbondale will be working with local communities to help them better manage the “forests” that line their streets and populate their parks. Marcus Rutherford, a senior majoring in Forestry, was awarded a $1,000 scholarship from Davey Tree Expert Co. Davey Tree is a national tree, shrub and lawn care company that grants 30 such scholarships every year across the United States. Rutherford, from Chesterfield, IL, can use the funds to pay for tuition and fees or other related costs. The award was presented to Rutherford by Tom Beshoar, a 1998 SIUC forestry graduate. The American Water Resources organization recently named the SIUC group as its most "Outstanding Student Chapter" in country. Dr. Karl Williard, Professor of Forestry, said the club's success stems from the energy, enthusiasm, and commitment from club members. Once again, SIUC has earned national recognition for its commitment to providing educational opportunities to active-duty military personnel and veterans. SIUC received recognition in the August 16, 2010 issue of G.I. Jobs Magazine. Nearly 200 local grade school and high school students from the Carbondale area spent a day learning about the environment in an outreach project conducted by the Forestry Department. Dr. Erin Seekamp, Asst. Professor of Forestry, coordinated the efforts with graduate and undergraduate students in her “Fundamentals of Environmental Education” class. Dr. Clay Nielsen, Assistant Professor with the Cooperative Wildlife Research Laboratory and the Department of Forestry, is assisting wildlife managers in central India as they look for ways to protect local villagers from tiger attacks. Nielson is hoping to use date collected to attempt to predict where and when tiger attacks are most likely to occur. The SIU Foundation is creating a scholarship fund for high-achieving freshman with the goal of attracting some of the best and brightest incoming students to the University. Scholarships will start being awarded in the Fall 2011 semester. "Everything everywhere speaks to us, but we often don't understand what is said. Interpreters help us make sense of the stories the natural world, historical objects and cultural remnants have to tell us. At Southern Illinois University Carbondale, a group of forestry students is learning to give those stories a voice. Chances are that many of us have never seen a swamp rabbit. The swamp rabbit is a larger, darker-colored cousin to the cottontail rabbit. They like to hang out near wetlands with scenery that includes an abundance of irregular patches of shrubbery with brushy edges and stumps. Dr. Clayton K. Nielsen, a wildlife specialist and Assistant Professor at SIUC, believes if more people ate deer, there would be fewer deer eating corn. Nielson states, "There's an estimated 30 million deer continent wide ..."
Southern Illinois University Carbondale continues to be a top choice for active-duty military personnel who are pursuing degrees. The University is ranked 40th by active duty service members who used tuition assistance during the 2010 fiscal year, according to a report in the June/July 2011 issue of "Military Times Edge" magazine. A new course offering at SIUC will take students to the rainforests of Central America, providing them with an opportunity to learn and live in a foreign country while practicing science in the wild. In March 2007, the Department of Forestry took its first step to implement a management plan for over 1,200 acres of woodlands on its University Farms. The Department developed wooded areas into outdoor lab spaces in which students could work hands-on with management techniques they learn in class. Dr. Clay Nielsen and Dr. Andrew Carver of the Department of Forestry, are assisting parks personnel and biologists in Panama with conducting a wildlife survey. Recently, Dr. Erin Seekamp's FOR 423 course has been developing interpretive podcasts ("pocket ranger tours") as service learning projects. In 2008, podcasts were developed for three different areas at Crab Orchard National Wildlife Refuge. In 2009, five podcasts were developed for Green Earth, Inc., a nongovernment organization devoted to preserving green space around Carbondale, IL. Held during SIUC's spring break 2008 the course grew out of joint research projects conducted in the area by Andrew D. Carver, associate professor of forestry, Jay Needham, assistant professor of radio-television. After years of serving as a training ground for tanks and various other Army weaponry, the ground at Fort Knox has experienced significant erosion and damage. Dr. John W. Groninger, Department of Forestry Professor, led the research at Kankakee Sands a Nature Conservancy preserve straddling the Illinois state line near Kankakee. The Department of Forestry is literally, "raising cane" at the SIUC Tree Improvement Center. Cane has gradually been disappearing for years. According to Dr. Jim Zaczek, "Only about 2 percent of the canebrake habitat is left" in the United States. Dr. John Phelps, Forestry Department Chair retires after 18 years with the Department of Forestry. The Department welcomes Dr. Jim Zaczek as the Interim Chair. 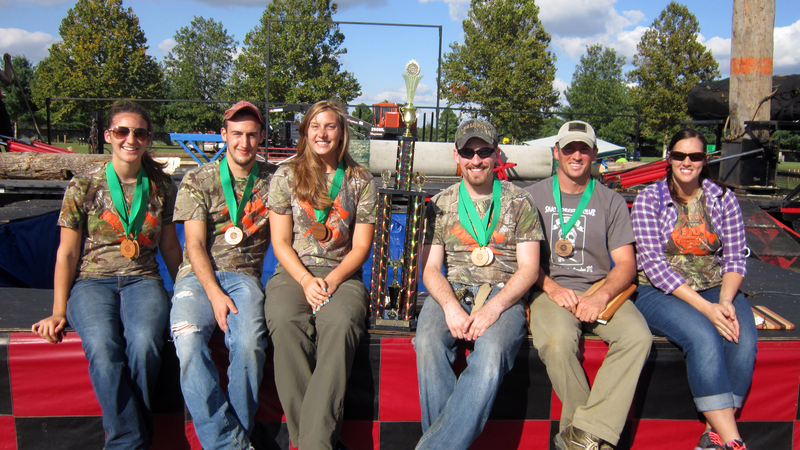 The SIUC Forestry Club recently competed in the Midwestern Foresters Conclave Competition held on October 6, 2007 in Madrid, Iowa. The Department of Forestry is taking the first step in implementing a management plan for over 1,200 acres of woodlands on its University Farms. 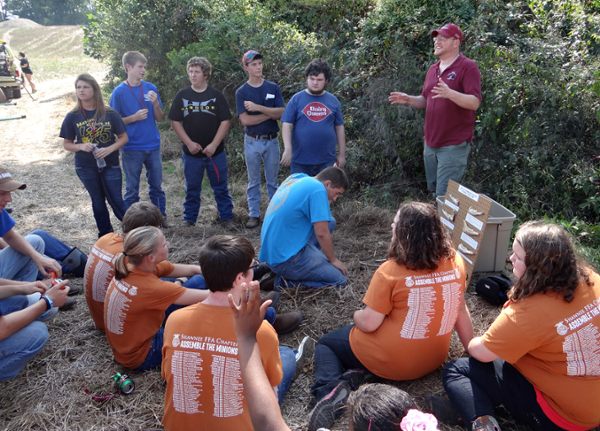 SIUC runs one of the nation's top forestry programs, and the addition of a "Teaching Forest" is seen as a way to enhance the Forestry program, as well as faculty research and community outreach programs. Dr. John W. Groninger, Associate Professor, visited Afghanistan as part of a joint research team from SIUC, University of Illinois, and Pakistan's Northwest Frontier Agricultural University. The researchers hoped to assist Afghan scientists with rebuilding the agriculture program at Balkh University in Mazar-e-Sharif. After completed a summer job in a factory, Forestry student Brian Bosler, decided he wanted to pursue his dream of fighting fires in forest wild lands. Bosler's dream started taking shape after joining the "Saluki Fire Dawgs," a student group dedicated to forest research and wild lands maintenance.